While he wasn’t wearing any costumes, Satoru Iwata did manage to entertain and inform in the latest Nintendo Direct, including some news about a long-awaited addition to the virtual console and a new twist on a classic Zelda game. Hang on to your hats because we’ve boiled down almost 40 minutes of video into this article, and we’re moving quickly. Iwata started out with more information about Mario & Luigi: Dream Team, where the brothers visit Pi’illo Island along with Peach. When the princess gets kidnapped, the brothers must jump between the real world and the dream world in order to save her. The game will be available on 3DS on August 11th. Next came info on Mario Golf: World Tour, which is also coming this summer. There will be a real-time competitive mode over the Internet and also the ability to upload games so others can play against your “ghost.” World Tour will also have a community feature similar to Mario Kart 7. Iwata also announced the next Mario Party game, also for 3DS, which will feature 7 game boards, each with their own game mechanics, some more directly competitive than others. There will be 81 new minigames to play, including some which use AR cards; however, the game is still in development and won’t be out until this winter. 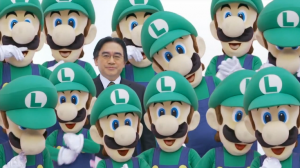 Building on the New Super Luigi U announcement from February, Iwata showed off Luigi’s abilities as well as new stages (which only have 100 seconds each). This DLC for New Super Mario Bros. U will come out this summer. 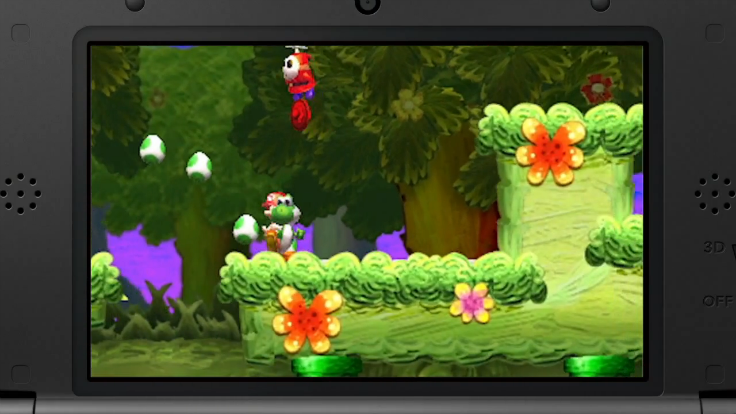 He also showed off stages from Donkey Kong Country Returns 3D (coming May 24th) , including 8 new post-game levels and a new mode which changes the difficulty for play on the 3DS. Players can take five hits instead of just three in the “New Mode”, which also adds a portable DK barrel, a crash guard for the mine cart, and a green balloon which will save you from one bad jump per level. You can still play the original difficulty, as well, if the new mode is too easy, and local wireless play will also allow two players to play through the story cooperatively. Iwata teased a new game in the Yoshi’s Island series, but didn’t give too much information or a release window during the announcement. Mario and Donkey Kong: Minis on the Move is an eShop game, which launches May 9th. In this puzzle game, you place tiles while the mini-characters wander their way to the goal. There will also be a mode for creating your own levels, which can be uploaded for others to try. Bill Trinen from Nintendo of America took over from here, and announced Game & Wario will head to the Wii U on June 23rd. The video included updated “Pirates” minigame footage, showing off Bill using the Wii U gamepad to find attacking ships and avoid their arrows, as well as other minigames that showed how the TV and gamepad are used in concert to add even more challenge than previous Wario titles. Bill moved on to talk about updates to the Wii U Monster Hunter 3 Ultimate to allow for expansion of online play and a new 3DS prequel of Lego City Undercover (coming April 21st). 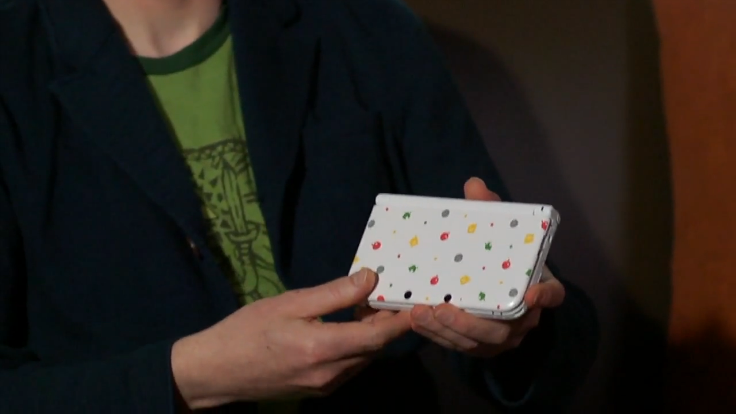 He then quickly showed off a fancy Animal Crossing: New Leaf 3DS XL bundle, retailing at $219.99. The limited edition XL bundle will come with a pre-installed version of New Leaf, and will be available alongside the game on June 9th. He then rolled on to the 3DS Virtual Console, announcing that Oracle of Ages and Oracle of Seasons will be coming to the eShop on May 30th. While it will still be a while, he announced that Square Enix’s Bravely Default Flying Fairy will finally come stateside next year along with Level-5’s Professor Layton and the Azran Legacy. Level-5 will also be releasing a few titles from their “Guild” series including The Starship Damrey, Bugs Versus Tanks, and Attack of the Friday Monsters! A Tokyo Tale. All three will be coming to the eShop in the near future. Bill rounded out his announcements by showing off Shin Megami Tensei IV’s first run soundtrack, slipcase and art book that will accompany its launch on July 16th. He then handed off to Reggie Fils-Aime for one last big announcement: a new Zelda title based on A Link to the Past‘s 2-D style in combination with the ability to become paper thin to move within the walls. 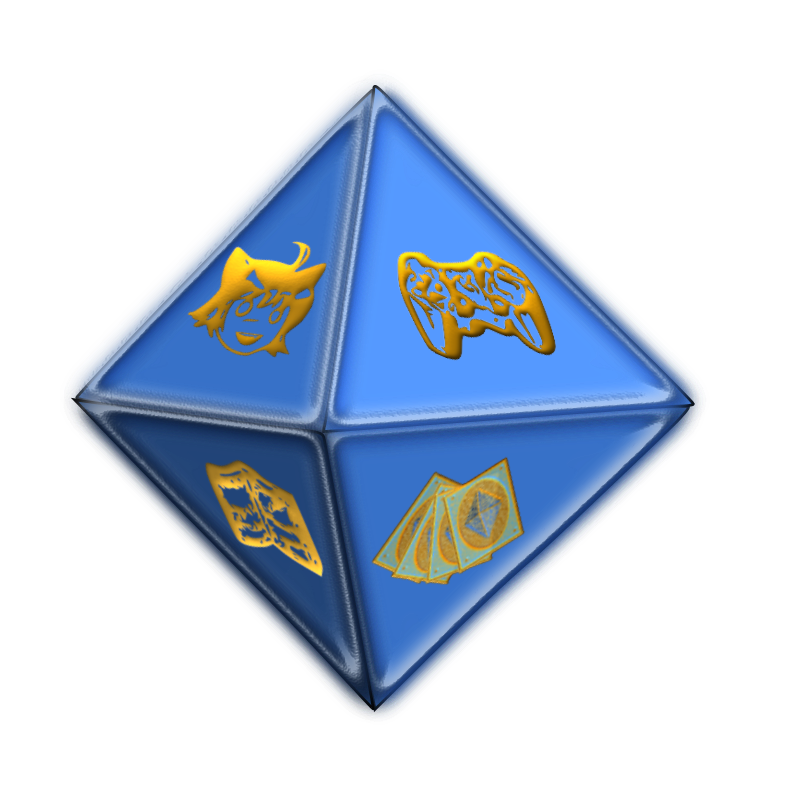 The game will also take advantage of the visual depth offered by the 3DS as Link moves between floors of the dungeons. The new, yet unnamed Zelda game will hit shelves sometime during the winter holidays. Whew! That wraps it up for this latest Nintendo Direct. Have a favorite announcement? Something you wished you had more info on? Tell us in the comments!